DES (Diploma of Specialized Studies) in reconstructive and aesthetic plastic surgery. 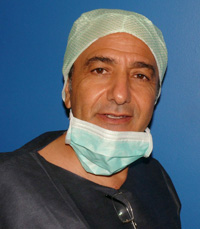 Member of the National Syndicate of Aesthetic Plastic surgery and Reconstructrice. Breast augmentation interventions by prostheses and fat injection (lipofilling). Mammary reconstruction by prosthetic, high right lamp and dorsal flap. The procedure that allows the reduction of excessive breasts in man. Other cosmetic surgery procedures of the face and body. Aesthetic medicine of facial and body rejuvenation by injections and Cryolipolysis.